Mau Kartu MCC Regular Gratis? Sejak bulan Agustus 2013, MCC tidak lagi memberikan Kartu Regular secara gratis jika kita berbelanja di Toko Matahari minimal sebesar Rp.100.000. Customer Matahari akan dikenakan biaya pendaftaran sebesar Rp.20.000 untuk kartu Regular ini. MCC atau Matahari Club Card adalah kartu loyalty yang dikeluarkan PT. Matahari Department Store Tbk. yang ditujukan kepada konsumen toko ini. Saat ini MCC memiliki 3 jenis kartu loyalty, yakni Kartu Regular, Premium dan Beauty. Member MCC akan mendapatkan point reward untuk setiap transaksi pembelanjaan di Matahari Department Store. Pembelanjaan minimum Rp 20.000,- akan mendapatkan 2 point reward untuk Kartu Reguler dan 4 point reward untuk Kartu Beauty dan Premium. Point reward tersebut dapat ditukar dengan voucher Belanja Matahari. yakni setiap 100 point reward MCC akan mendapatkan voucher belanja sebesar Rp 10.000,- (sepuluh ribu rupiah). Klik kata kata "Registrasi disini" dan baca KETENTUAN DAN PERSYARATAN KEANGGOTAAN MCC, kemudian scroll down terus halaman ini sampai menemukan" Saya setuju dengan syarat dan ketentuan yang berlaku", klik jika kita setuju dan akan muncul Box merah "Registrasi". Klik di box ini untuk melanjutkan pengisian data. Isi form Registrasi Kartu Online dan klik kirim jika semua data sudah benar, sebelumnya kita harus membaca kembali syarat dan ketenetuan dan klik setuju jika sudah OK.
Kita akan menerima email pemberitahuan registrasi kartu MCC Regular sudah berhasil. Di email ini ada nomor kartu dan sandi. Pendaftaran kartu regular gratis sudah selesai, kita tinggal menunggu kartu yang akan dikirim oleh MCC. Isi data dengan benar dan sesuai dengan data kita di KTP. Kalau salah isi, bisa bisa kita ngga bisa tukar point rewardnya. Alamat Pengiriman Kartu juga harus lengkap dan benar, kode pos juga wajibdiisi. MCC akan mengirimkam kartu lewat Pos, kalau yang diisi salah atau kurang lengkap, kita bisa tidak menerima kartu MCC. Kalau belum terima kartu, cek aja ke Halo Matahari! Setelah menerima kartu, kita bisa langsung gunakan untuk berbelanja dan langsung dapat mengumpulkan point rewardnya. Cek point juga bisa di websitenya Matahari. Ganti kartu MCC Regular ke jenis kartu MCC Premium atau MCC Beauty, bisa dapat gratis: tas, asuransi, doble point dan ada discount khusus untuk barang tertentu di hari tertentu dan juga bisa dapat disount di merchant yang ada di katalog MCC. 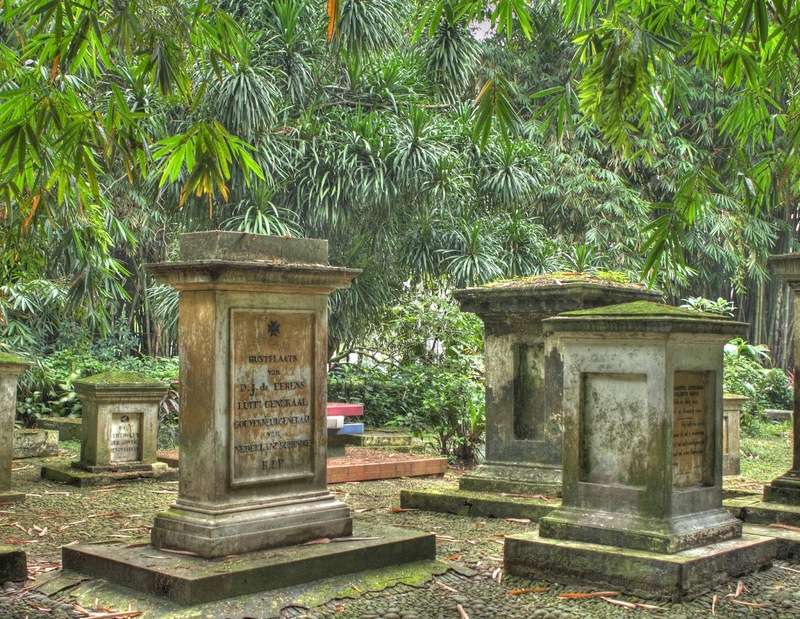 The Bogor Botanical gardens is the oldest and most well-known of the four of The Indonesian Botanical Gardens.The Gardens located in the middle of Bogor town, truly the heart of this city and adjoins the Istana Bogor (Presidential Palace). It covers more than 80 hectares and contents an impressive collection of various plants and incredible trees from all over Indonesia. Many trees have grown into incredible height, some with a root system reaching high over ground creating a true feeling of walking around in the rain forest. The gardens founded 1817 were very old yet very well maintained and beautiful. The many ancient trees, canopies of vines and flowers and sheer abundance of exotic tropical plants gave you a sense of sanctuary. With all the water features and landscaping adding to the scenic stroll throughout the grounds, it was hard not to want to take a picture of everything you saw. The bamboo garden was wonderful, here and there you would find benches to sit down and contemplate the beauty of the garden. It is a pleasure to be able to walk among such mature trees which are marked with the Latin name. Try checking out the park sites and facilities: JJ Smith and Lady Raffles Memorial, Scissor Pond, Bat habitat tree, Teisjmann Park, Dutch Cemetery, Canary avenue, Hanging Bridge, Surya Lembayung Bridge, Orchid House Exhibition, Sudjana Kassan Park, Treub laboratory, Herbarium & Seed Musesum and Tissue Cultural laboratory. Today the gardens contain more than 15,000 species of trees and plants. There are 400 types of exceptional palms along lawns and avenues.The Gardens are a refuge for more than 50 different varieties of birds and for groups of bats roosting high in the trees. The orchid houses contain some 3,000 varieties. Over the 180 years, it contributed to many major science, agriculture, conservation and environmental education. Check the herb garden, palms, bamboo collection, Mexican garden, water garden and ginger collection. In fact, almost every square inch is interesting. Try the open garden car for a sightseeing everywhere inside this park. There is Zoology museum inside the park. It is included at your entry ticket. This museum is very old and tired. Check its collection of the giant blue whale bones. It is very amazing big. The other interesting place is the Dutch cemetery. You can see the antique massive tomb that built from the late 1800. So old! Don't forget to bring an umbrella as the weather is quite unpredictable. 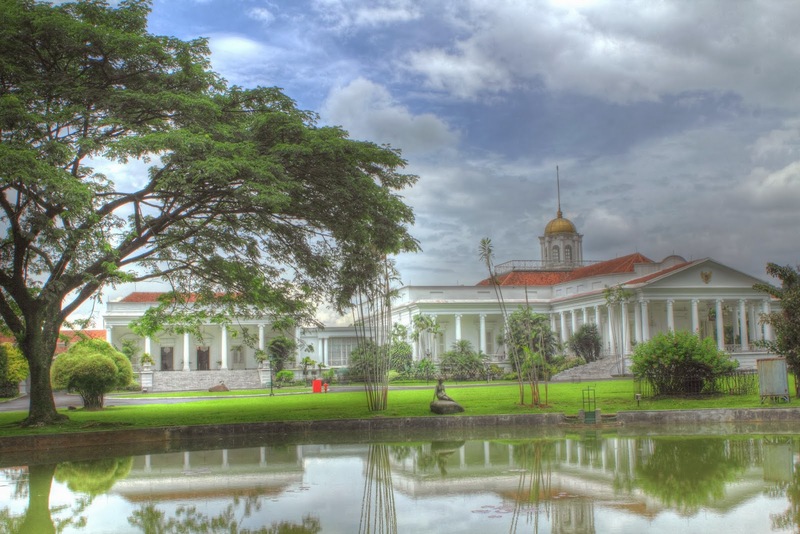 Bogor is one of the wettest cities with highest rainfall in Java. The rainy city is other name of this town. Thanks to roads throughout the Garden that allow cars to drive through. But in case you are visiting for the first time, please keep in mind: this place is really big. Be sure to bring plenty of water if you don't plan on bringing your car into the gardens. If you plan to go to the gardens from Jakarta, start your trip early, at about 9am at the latest. This is to ensure you miss the horrendous traffic jams. There is a great cafe located on a hill with a lovely panoramic view overlooking part of the gardens. Don't forget your sunscreen and mosquito repellant. Go early, bring your picnic basket and prepare to spend at least half a day in the park - it was well worth the long trip from the city. The gardens are an absolute paradise but the lack of proper maintenance leaves the manmade things a bit "tired". Cibodas Botanical Gardens (Bergtuin te Cibodas, Hortus and Cibodas laboratory) at West Java, covering at 120 Ha with high at 1400 meter sea level. It founded by Teysman in 1866, many collections of tropic as well sub tropic plants can be found here. Purwodadi Botanical Gardens (Hortus Purwodadi) at East Java founded by Van Sloten in 1941. It covers 85 Ha at high 250 meter of sea level. It also collects many tropical plants. 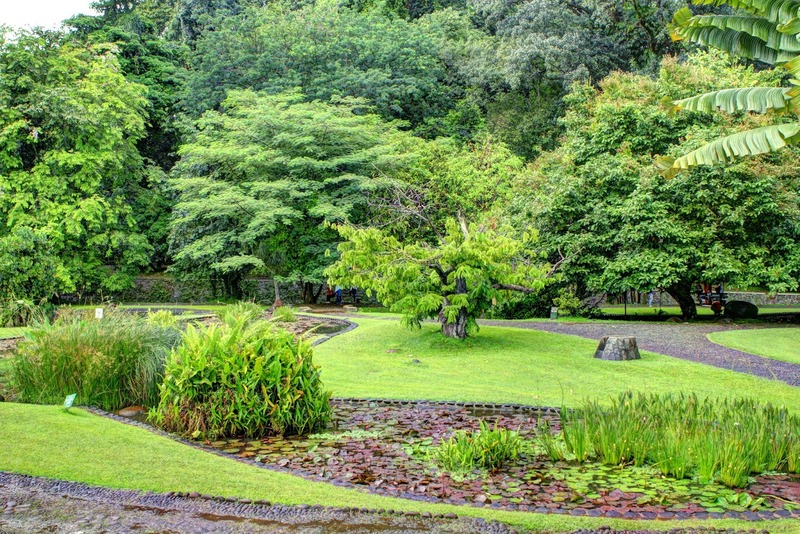 Eka Karya Botanical Gardens at Bedugul , Bali island founded by Prof. Ir. Kusnoto Setyodiwiryo in 1959. It covers 159,4 Ha at high 1400 meter sea level. It collects dry climate plants and tropical plants as well. Admission Rp. 14.000, - / person. Special tickets Foreign Tourists Rp. 25.000, - / person. Roving Vehicle Wheels 4 Rp. 30.000, -. Parking Vehicles 2 Wheels Rp. 5.000, -. Bicycles Tickets Roving Rp. 5.000, -. At the beginning of year 2014, the rare flower of Rafflesia Patma is blooming at Bogor Botanical Garden West Java, Indonesia. It is the 7th flowers since 2010 and one of the three national flowers in Indonesia, the other two being the white jasmine and moon orchid. It was officially recognized as a national "rare flower". There are about 30 species of Rafflesia that have been found in the world, Rafflesia Patma is one of the 15 species of Rafflesia found in Indonesia. Rafflesia Patma is a member of the genus Rafflesia. It is noted for producing the largest individual flower on earth. The flower of Rafflesia Patma grows to a diameter of around 38 centimeter. The buds take many months to develop and the flower lasts for just a few days. There are around 5 buds still wait to bloom. It lives as a parasite on the Tetrastigma vine, which grows only in primary rainforests. Rafflesia is rare and fairly hard to locate. It is especially difficult to locate the flower in forests. There are only 3 places you could see this flower, i.e. : Bogor botanical garden, Cagar Alam Pananjung, Pangandaran and Cagar Alam Leuweung Sancang, Garut. Rafflesia lacks any observable leaves, stems or even roots, yet is still considered a vascular plant. Similar to fungi, individuals grow as thread-like strands of tissue completely embedded within and in intimate contact with surrounding host cells from which nutrients and water are obtained. This plant produces no leaves, stems or roots and does not have chlorophyll. It can only be seen when it is ready to reproduce. Perhaps the only part of Rafflesia that is identifiable as distinctly plant-like are the flowers; although, even these are unusual since they attain massive proportions, have a reddish-brown coloration. It has a very strong and horrible odor of decaying flesh, earning it the nickname "corpse flower". The stink scent attracts insects such as flies which then pollinate the rare plant. The flowers are unisexual and thus proximity of male and female flowers is vital for successful pollination. These factors make successful pollination a rare event. The 6th flowers have been bloomed at Bogor, 5 ones were a female and other was male.